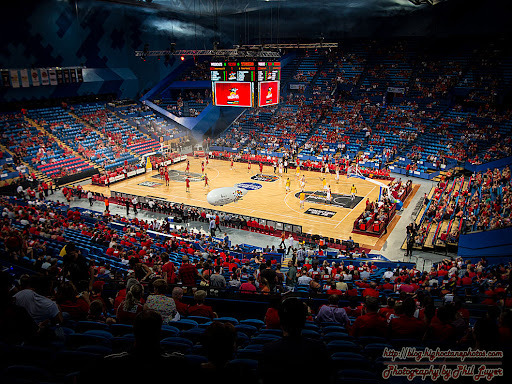 Last night, Kate and I headed to the new Perth Arena to watch the Perth Wildcats take on the Melbourne Tigers. This was our first time at the new Arena, and watching the Wildcats run out a 20 point win was a good way to check out the new venue. 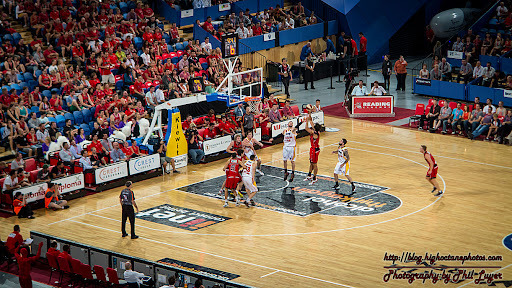 A little unusual for me, was sitting in the stands watching, with only the Canon G1X in my hand, and it did have me wishing that I had a little more time on my hands to chase down some work at a few other sporting venues around Perth. Once again, I was really impressed by the little G1X's ability to handle low light and higher ISO's without producing a lot of noise. 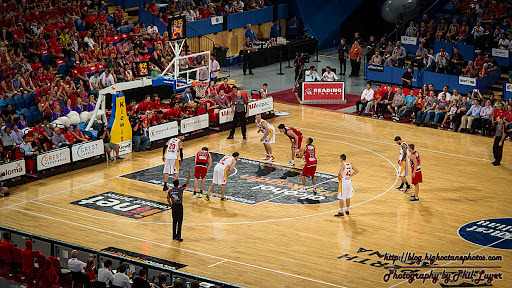 Not that a basketball stadium under TV lighting is really low light, but shooting from almost the top row of the stands does push things a little. This is the G1X at maximum zoom, not too bad for a little camera. 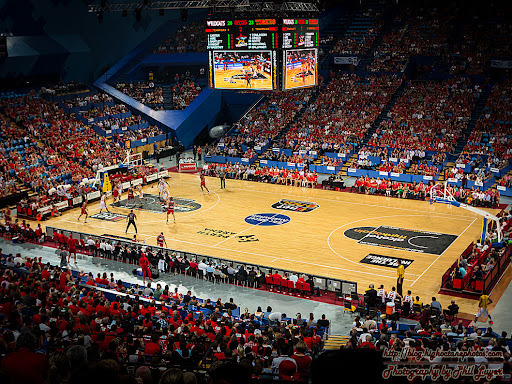 For all the flack the Perth Arena has copped over its looks from the outside, inside it's a nicely polished deal. Although there was one thing I noticed, but didn't get a photo of, 3 well placed water coolers right next to one of the bars, with no power points to plug them into and decidedly warm water. 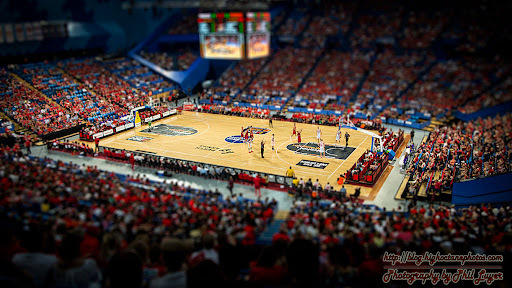 And of course, being this far up in the stands, I just had to do some faux tilt shift. This was done in Photoshop, although the G1X does have the ability to do this sort of stuff in camera.